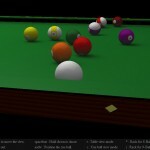 play 5 levels with various specials like multiballs and more. O3D WebGL Pool is now in the game list. Nice graphics, a simple gameplay and few bugs but it’s fun to play it. It uses the API by Google named O3D based on WebGL. This version is running without any plugin, just with WebGL. Shortly after landing on an alien surface, you learn that hundreds of your men have been reduced to just a few. Now you must fight your way through heavily fortified military installations, lower the city’s defenses and shut down the enemy’s war machine. Only then will the fate of humanity be known. 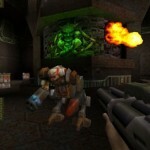 This WebGL version of Quake 2 is done by Google. This is an amazing demonstration of what we can do with a browser. The 3D using WebGL, combined with WebSocket (Realtime Network between the Browser and the Server) and with Audio elements, allow the game to be complete. There is even a multiplayer mode (requires to find a server). 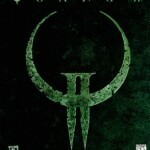 Update: Quake 2 Server updated (10/01/2013) and back online.